Precisely when the term was coined we’re not sure. Department stores such as Sears and K-Mart began used it in their marketing as early as 1983. 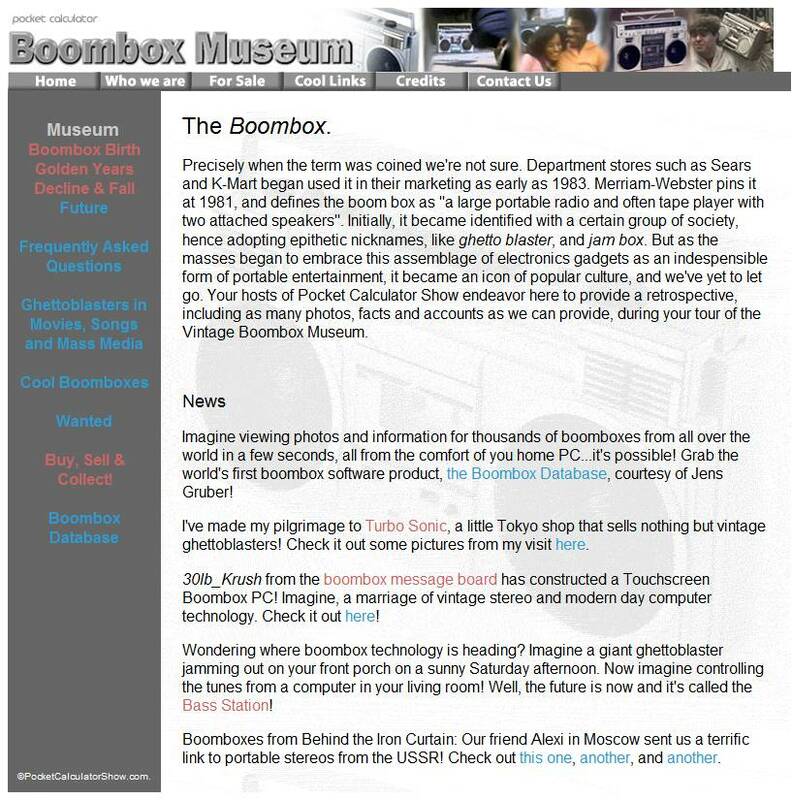 Merriam-Webster pins it at 1981, and defines the boom box as “a large portable radio and often tape player with two attached speakers”. Initially, it became identified with a certain group of society, hence adopting epithetic nicknames, like ghetto blaster, and jam box. But as the masses began to embrace this assemblage of electronics gadgets as an indespensible form of portable entertainment, it became an icon of popular culture, and we’ve yet to let go. Your hosts of Pocket Calculator Show endeavor here to provide a retrospective, including as many photos, facts and accounts as we can provide, during your tour of the Vintage Boombox Museum. 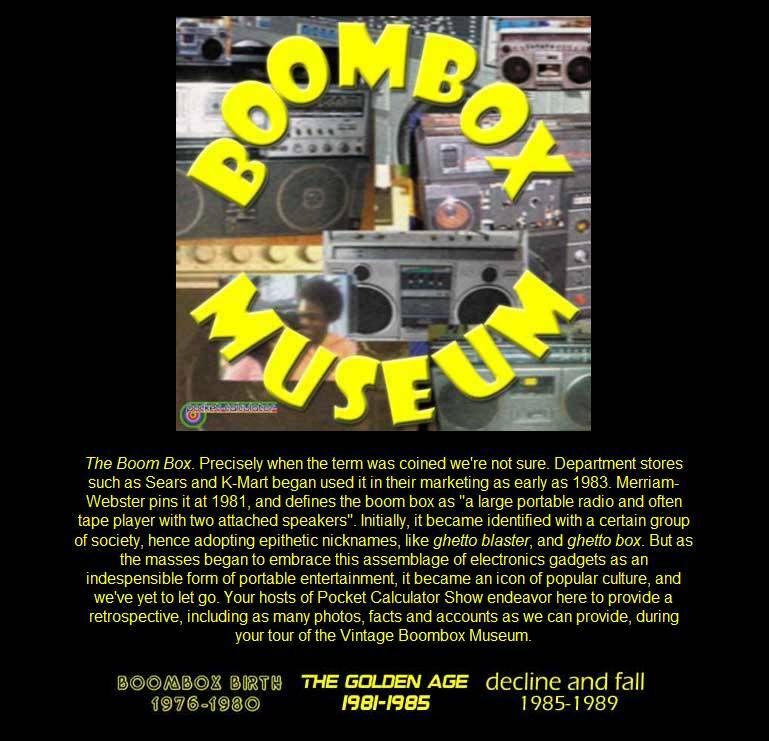 This entry was posted in Boombox by pocketcalculatorshow. Bookmark the permalink.